This site is also protected by an SSL (Secure Sockets Layer) certificate that’s been signed by a valid certificate authority (CA). The https:// means all transmitted data is encrypted — in other words, any information or browsing history that you provide is transmitted securely. 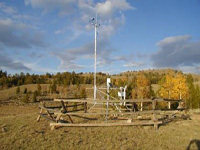 There are nearly 2,200 interagency Remote Automatic Weather Stations (RAWS) strategically located throughout the United States. In Nov 2017, FTS posted a customer service bulletin notifying customers that purchased a CS2 Standard G5 or G6 GOES Transmitter of a mandatory firmware update. This update addresses issues that could potentially cause Dataloggers to log data using erroneous dates and the transmitter GPS not updating to the correct UTC offset time affecting the transmission times. This service update must be completed as soon as possible and no later than midnight UTC, April 6, 2019. To expedite this firmware update within the RAWS interagency community a USB thumb drive, with the required firmware and instructions to install and properly document the update, will be sent to every agency or district office that places a parts order through the RSFWSU depot. RAWS Help Desk personnel will also be available to answer questions and provide any assistance with the update. Q: What is the procedure to upgrade my station logger transmitter to be CS2 compliant? 2) The Depot will notify you when it receives the CS2 transmitter upgrade kit. You can then order an upgraded replacement logger through the WFMI parts ordering process. Note: When ordering the replacement logger, ensure the model you are ordering is the F6-G6-TLM. If your station is not under a RSFWSU depot contract please contact the equipment manufacturer for pricing. For more details go to the “NEWS AND INFORMATION” section. Click on “Read More News & Info” and go to the post on the “CS-2 Transmitter Upgrades” dated 5/15/13.